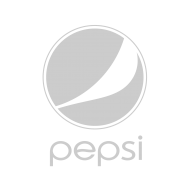 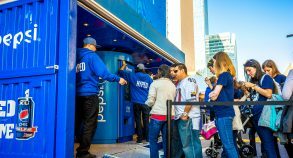 As the official soft drink partner of the NFL, PepsiCo sponsored the popular Super Bowl XLIX Halftime Show for the 13th consecutive year. 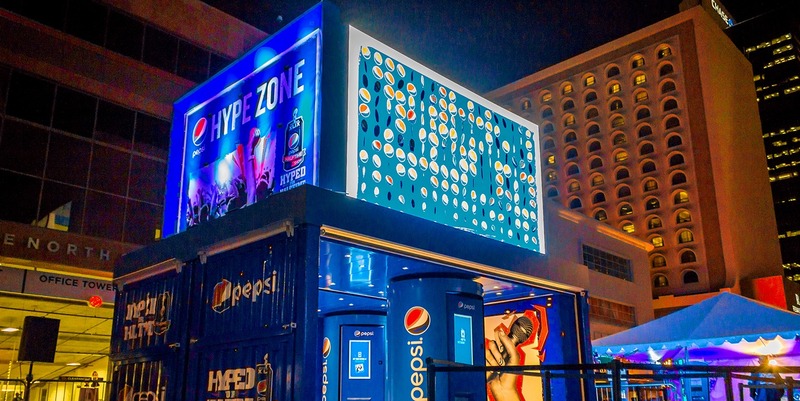 During the event, the brand wanted to offer fans an engaging experience which they would share and remember. 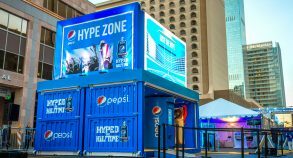 Using a refurbished shipping container as the centerpiece of their experiential campaign definitely made the brand stand out and created an impression on fans. 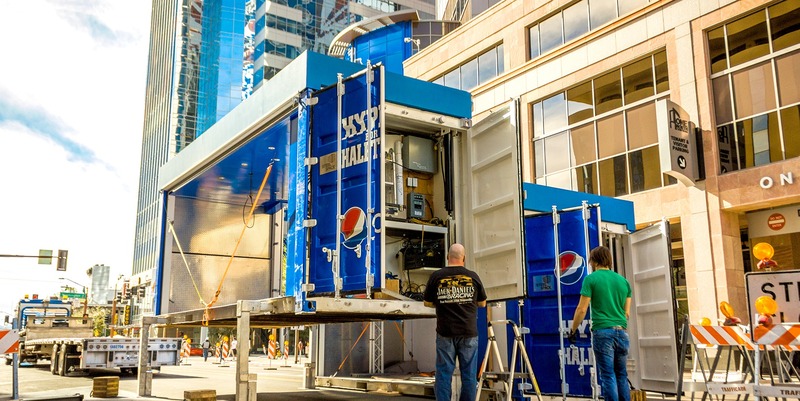 Converted containers constitute a fantastic marketing tool to get noticed and get clients talking and tweeting about your brand or product. 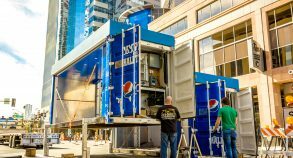 Converted containers constitute a fantastic marketing tool to get noticed and get clients talking and tweeting about your brand or product. 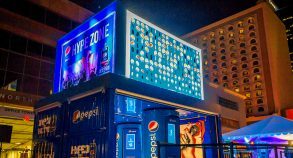 The “Hype zone”, a two-level enclosure made from a converted SS20 shipping container, enabled Pepsi to stand out from the crowd and communicate its key marketing messages in an original, surprising and engaging way. 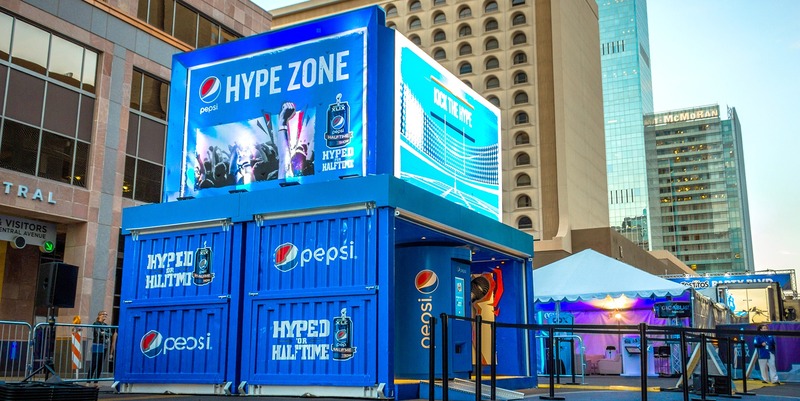 The innovative enclosure included two giant LED screens and several interactive engagements: the “Kick the Hype” interactive mobile game, the “Hype Chamber” group selfie station and two “Swag Machines” that dispensed Pepsi branded merchandise like hats, t-shirts, towels… and soft drinks! 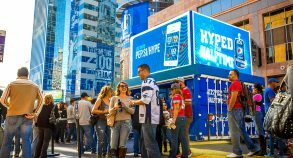 The “Kick the Hype” mobile game enabled fans to use their cellular phones as game controllers to connect to the main LED screen. 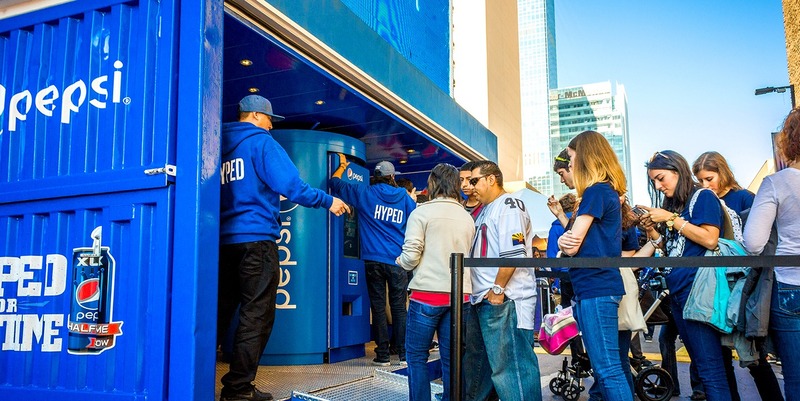 Fans were also encouraged to capture and share photos on Instagram to receive their instant vending machine surprise and the chance to be featured on the big exterior LED screen. 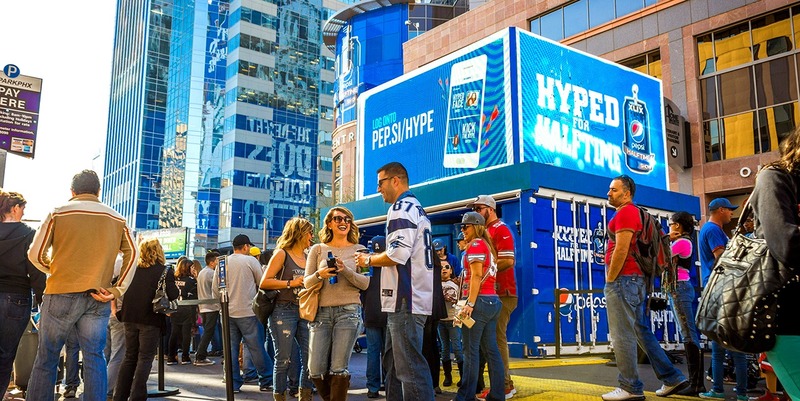 More than 5,000 people shared selfies over the course of the activation!